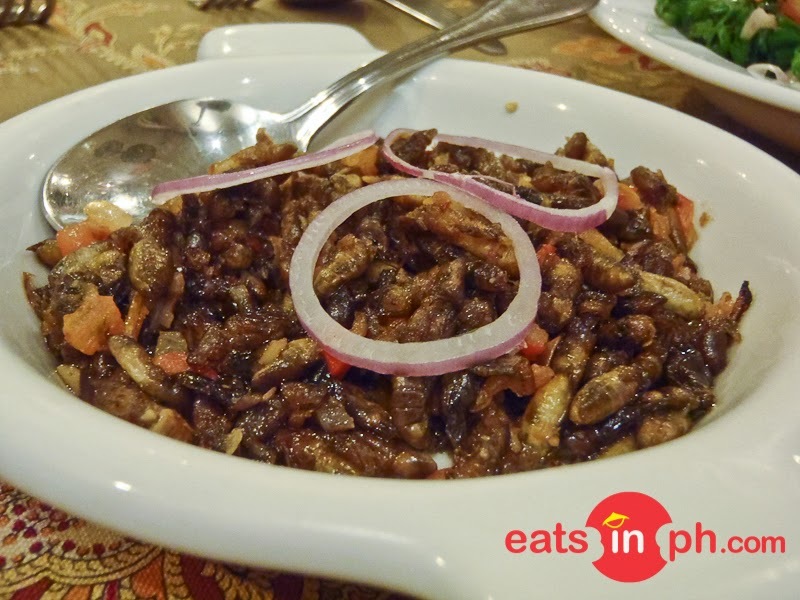 A popular dish in Pampanga, this is rice field crickets sautéed in tomatoes and onions. It's crispy, spicy and tastes good! A must-try for adventurous foodies!